A few weeks ago I took a step that I have been wanting to take for years and I got my Invisalign braces and started my Invisalign Journey. Getting braces in my 30s was something I absolutely knew I would do. It was more a case of when. I never had braces as a teenager because I didn’t need them. But, come those pesky wisdom teeth and also pregnancy and my teeth seemed to have moved so much I didn’t recognise my smile in photos. 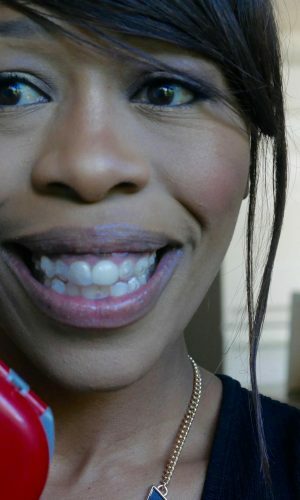 In reality, I’d been unhappy with my teeth for years. Not only did I not like the way they were moving, but the movement caused headaches, jaw ache and affected my speech. Overcrowding, particularly on my bottom row. With ‘that’ tooth. Misalignment and narrowing of jaw arch affecting the way I ate, spoke and also how my smile looked. 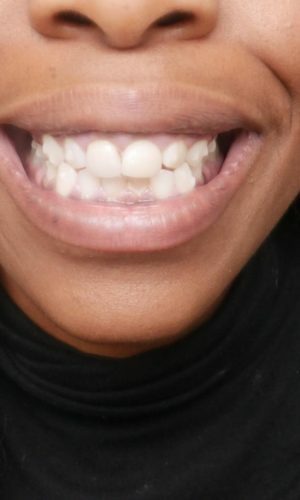 These issues combined were uncomfortable and were causing me to grind and wear away my teeth, which was a real worry and, on an aesthetic level, the way they looked made me really unhappy. All of my dental issues were uncomfortable and were causing me to grind and wear away my teeth, which was a real concern. On a cosmetic level, the way they looked made me really unhappy. I am not at all embarrassed anymore to say it affected my confidence, because I have spoken to so many adults who feel the same, but have been feeling it quietly. Invisalign is a brand name for clear plastic, Bisphenol-A (BPA) free aligners (or braces), custom-made for you. You change them up to every two weeks and they move your teeth incrementally over each set during the course of your treatment. To find out if you’re a candidate for Invisalign, you’ll need to go for a consultation with a registered Invisalign dentist/orthodontist. After your consultation and detailed teeth scan, you’ll be sent a ClinCheck® 3d video which will show you your projected treatment and movement for every new set of aligners. You can see mine in our YouTube video. It’s very cool! Pros vs. Cons of Invisalign? Invisalign have some specific advantages over fixed braces, like the fact they’re removable and more discreet than traditional metal braces. Which is great for adults and especially, those like me, who work in a professional management environment and really wouldn’t be comfortable with fixed braces. There are definitely a few pros and cons of traditional braces vs. Invisalign, and I discuss them all and show you my very own ClinCheck® and let you know all about my Invisalign experience and progress in our YouTube video, which is also below. My first set of Invisalign aligners understandably felt a bit odd to start. Plus, I felt like the edges were scratchy in places. My first meals were (almost) ruined because my tongue felt sore and salt and certain flavours were just a no go. However, my dentist advised me to just use a nail file to smooth the edges out a bit. Seriously, a few gentle swipes with a regular nail file did the trick. Such a revelation! I wish I’d done it sooner! I never had the same problem again. But, it’s a great tip. 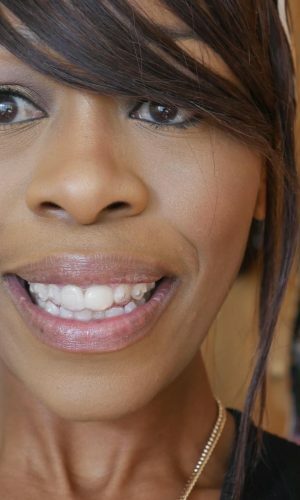 You’ll notice in the very first photo in my Invisalign progress pics below that up close you can see some bubbles. I was a bit concerned about these, as you can imagine! 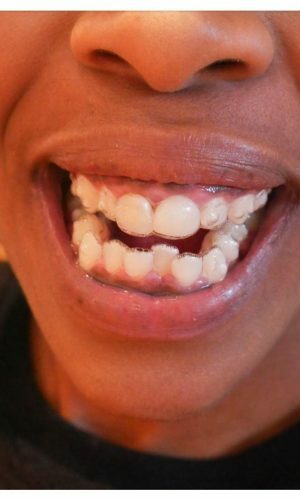 But, fear not, another thing that I no longer have and if you make sure your aligners are properly snapped on, this shouldn’t happen. You can use chewies orthodontic aligners or something similar to gently chew on to help with them fitting. The lisp is something that I think is almost unavoidable at the start. Let’s face it, you’ve got a foreign object in your mouth (!) and even though they’re thin, you just need time to adapt. Another thing that is lessened by making sure you’ve got your Invisalign on as snugly as possible. You’ll hear in the video (where I’m wearing my Invisalign throughout) that the lisp is gone. The first few times I took my Invisalign aligners off were fine, but when I came to do it on day two to have a drink, it was not pleasant. Then the same again putting them back in! Seriously, I felt like my teeth were loose. They weren’t, but obviously, they weren’t used to being shackled in plastic. And told me so! The attachments (see below) seemed to make it worse. So, I held off mealtimes for increasingly longer times because I’d really worked myself up over it. I had to mentally brace myself (groan!) to take them off and on. But, by day 3, it really wasn’t that bad! Thankfully, as I was almost ready to give up. Eating and drinking with Invisalign? First observations, I’m naturally a grazer. I generally eat little and often. I’ve had to rethink this! To get the most out of your Invisalign, the optimal wear time is 22 hours a day. Of course, you can take them off as often as you like to eat and drink, but the fact you have to clean your teeth and aligners every time means you’re less likely to. So, I make every meal count and make sure I’m getting everything I need at that point. It seems absolutely unfathomable in the first days. It really does. But you definitely adapt and get used to and it. Quicker than I expected, actually! Another bonus is, I’ve been wanting to drink more water and also to refocus my diet and unofficial Invisalign Diet of intermittent fasting certainly helped me do this! So, here are some photos of my Invisalign progress from the first day and over the first few weeks. I have to say, I felt I could see changes by week 3 for definite. Probably imperceptible to anyone else. But, I could see them and that was just amazing. Invisalign aligners move your teeth slightly with each set. 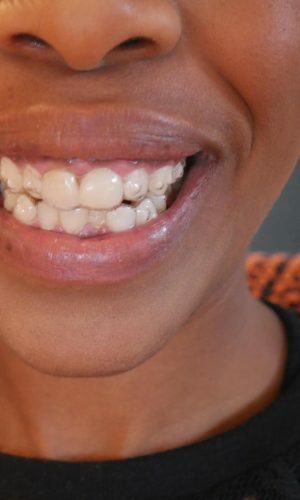 So, each time you change your aligners, you’re getting measurably closer to your final result. And, as you get them in 7-8 week batches, you can compare them yourself to see what’s coming up. In the close-up shots (in 4k. Eek! ), you’ll see my attachments. These are ‘buttons’ that are bonded to my teeth that support the Invisalign to help my teeth move more effectively. I’d be a big fat liar if I said I wasn’t initially disappointed about them. But, from a distance, they aren’t visible and it really didn’t take me long to accept them. Not everyone has them, but they have definitely been a big part of my Invisalign progress. Invisalign costs vary depending on your needs and also where you’re having it done. Costs are comparable to fixed braces, which a lot of people don’t realise. But, it can start from £1500. Typically, you’re looking at between £2500- £5000. Mine is Invisalign Full over 40 sets of Invisalign aligners. This is for both arches and includes teeth whitening, retainers and aftercare. I chose to pay interest-free installments over 12 months. My Invisalign dentist is Natwar Tibrewal and I’d highly recommend him. In fact, I met someone randomly a couple of weeks ago who was also having Invisalign treatment with him and we are equally as happy with our choice! So, my overall thoughts over the first weeks? Week one, I thought I’d made the biggest mistake of my life. I couldn’t see how I was going to deal with 40 trays of treatment. The weeks after? It’s surprising how easy it is to adapt. It all just becomes normal. I even feel guilty about when I’m not wearing them. Thinking about the cost will do that! But, I think the cost and investment in your dental health and happiness is absolutely worth it. I can’t wait to see the end result! Have you had braces or Invisalign? Thinking about it? Let me know! Wow!! Thanks for sharing your experience with us its really helpful and useful to the peoples who all are having an idea to had invisalign braces. 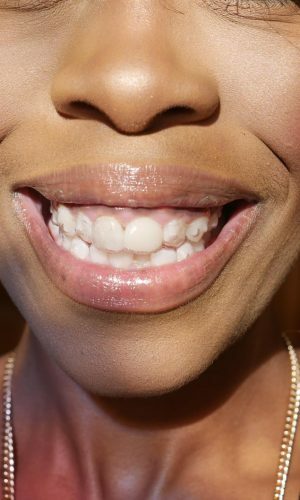 Isn’t Invisalign absolutely AMAZING!? I waited until I was 37 to “fix” my smile with orthodontic treatment and was really worried I’d end up looking like an overgrown teenager with metal mouth. Luckily my Austin, TX dentist suggested clear braces and told me they are virtually invisible! Not only did I get to straighten my teeth without anyone noticing, Invisalign treatment in Austin was actually 5 months shorter than going with traditional braces! I’d definitely suggest Invisalign to anyone who is a candidate. Your teeth look great! 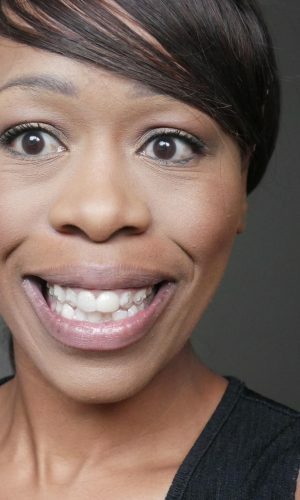 I have considered invisalign before because I have a gap. It isn't horrible but I don't like it. Hi Kat, Thanks for sharing your experience. 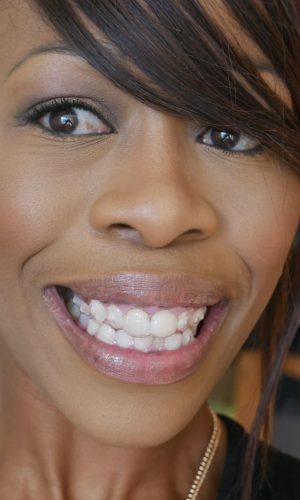 I was thinking about getting Invisalign for myself but decided against it dur to the perceived pain and little benefit I was going to back. Your teeth look great though. Glad to see your pearls in shape, though invisalign and braces take time to get your teeth in shape but its worth to wear them because the results are tremendous. This post contains healthy and beautiful smiles. Thanks for sharing with us. Expecting for more of these. Have a few friends who've gone the invisalign route and the results have been great! I started my journey with Invisalign back in March and having been meaning to write about it ever since! Think I'm going to wait until I've reached 6 months but I can relate to all of this - especially the scratchy edges, I had never thought of using a nail file! I do find my tongue is often sore because of them but now I'm seeing my teeth chance, it's well worth it. I hate my bottom teeth and have often wondered about Invisalign. You post is super helpful and covers every question I had! Your teeth look lovely too. so good to read this! I am due to get my Invisalign very soon! Can't wait to have teeth I am proud of! I have never had to have braces luckily. I'm glad you decided to do something to fix what was making you unhappy and give you more confidence. I know plenty of people who want to improve there teeth and are afraid to do so as they are "too old" or should have done as a child. I will share this post with them for sure. Good on you for doing something about it! Wow! I had never heard of this. My bottom teeth are terribly crowded and a couple of upper ones are not in a good place. I wish I had had braces in my youth. This is so information. I have never had this done on my teeth but it sounds pretty good. I had braces as a teenager. Those horrible metal ones. Every couple of months the wire would be tightened, and then I couldn't eat anything solid for a couple of days, and sometimes the wire ends would poke me in the cheek. It was horrible. These look much nicer.